I know it’s Friday, and Friday usually means polls. But I woke up this morning with an idea for a soft, summery sort of outfit, and I can’t get the idea out of my head. My actress character Luned gets to be the model, since “dreamer” is pretty much her default mode. It’s strange to have her in pastels: she favors black and soft grey and red, both for sentimental reasons and her sense of High Drama. And then, of course, I discarded “soft” as an outfit concept in favor of “omg pastels,” choosing my beloved Exquisite Long-sleeved Dress. I was thinking soft and gossamer, but “like an Easter egg exploded” seems to have won the day. 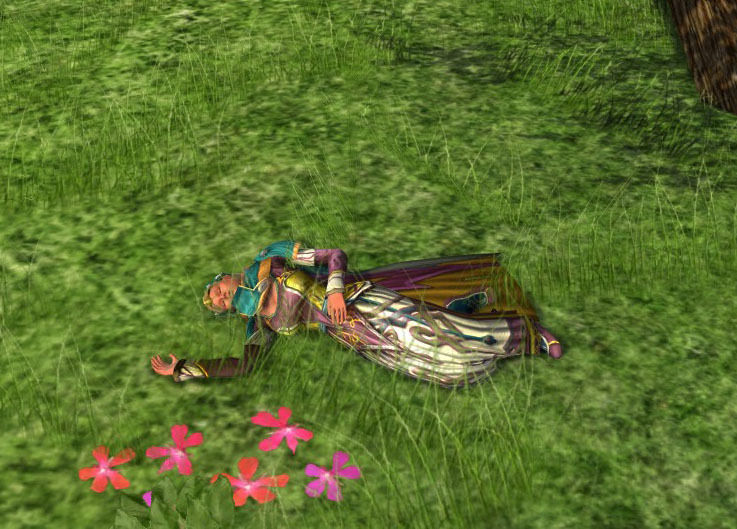 The wacky supporting player here is the Drape of Evendim, of all things. 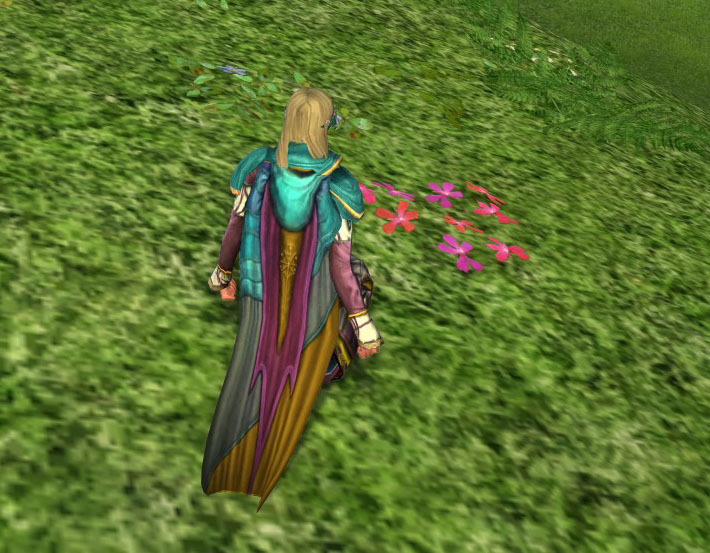 This nutty cloak seems to go well with the pastel explosion dress. I was thrilled! Then again, a typical outfit for me on any particular day might be a lime shirt, orange shoes, and turquoise nail polish. Pixel-art imitating life. There’s a bee on my nose. I wonder if I’m pretty? Is the sun golden all the time, or just during the day? Rainbows are pretty. Rain is nice. Rain gets my hair wet. My hair never behaves when it’s wet. I wonder why it’s rainBOWs?